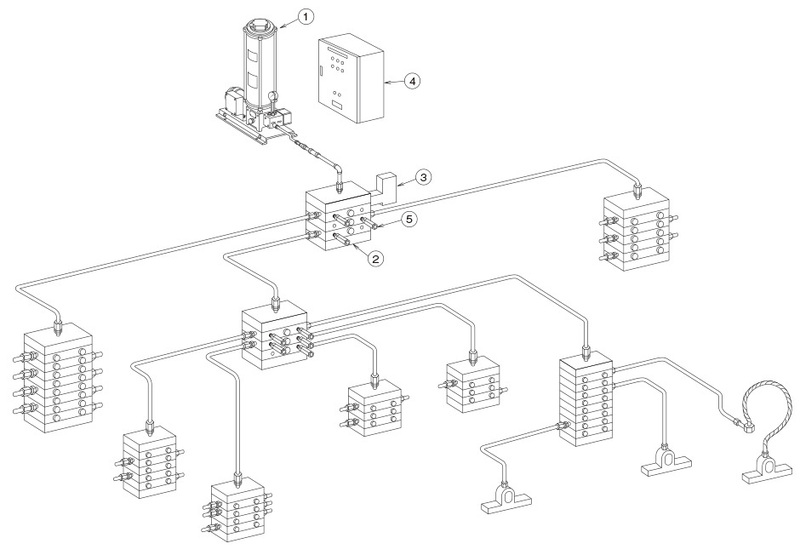 Motor driven pump system | Overview | Daikin Lubrication Products & Engineering Co., Ltd.
• Suited to medium-scale equipment and facilities where lubrication points are relatively centralized. Automatic operation is performed based on the lubrication interval set by the system timer on the electric control panel. When the distributing valve is operated and the specified operation count is reached, this means that all lubrication operations have completed. "High pressure error” alarm is displayed in addition to the "Oil feed time extension”, “Tank Empty” and “Overload operation” alarms. 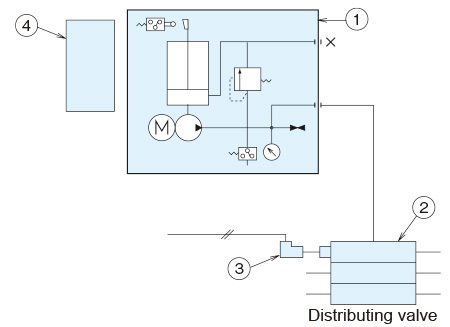 Note) When this system is used for oil, limit to the two-stage progressive configuration.